So, you’ve heard all about the Internet of Things (IoT) and the smart, connected home. How will a connected home be like, really? Well, a connected home will be somewhat like a traditional English Butler, it would respond instantly to your commands, know when you’re home, take care of the home security, lighting and temperature control without you having to do anything, and even have a hot steaming cup of coffee ready for you the moment you wake up. Amazing, isn’t it? So let’s look at the best connected home devices 2016 that make the concept of a connected home a reality. August Smart Lock: Smart locks are the most practical connected home devices that are capable of identifying the residents of a home from strangers. August Smart Lock is one of the best smart locks that knows when you’re coming and going. It knows enough not to unlock the door if you’re just passing by it in the house. With August Smart Lock, you get a Bluetooth version as well as a Wi-Fi version, called as the August Connect, which offers additional Wi-Fi features such as remote buzz ins and live unlock alerts. It is a great substitute for the traditional deadbolt lock and costs $249.99. Dropcam/Nest Cam: Dropcam, a startup that was founded in 2009, was one of the earliest makers of connected devices. The company became famous largely for its connected webcams of the same name, Dropcam. Dropcam Pro is a high resolution security cam that costs a little over $200. It sends notifications and alerts to your smartphone on a regular basis, and if it senses something unusual happening in the home. It’s a great way to watch what’s happening at home, whether the kids are behaving well, if the dog’s been sleeping soundly, or if there are trespassers in your property, which requires your immediate attention. Dropcam has since been taken over by the Google company Nest. 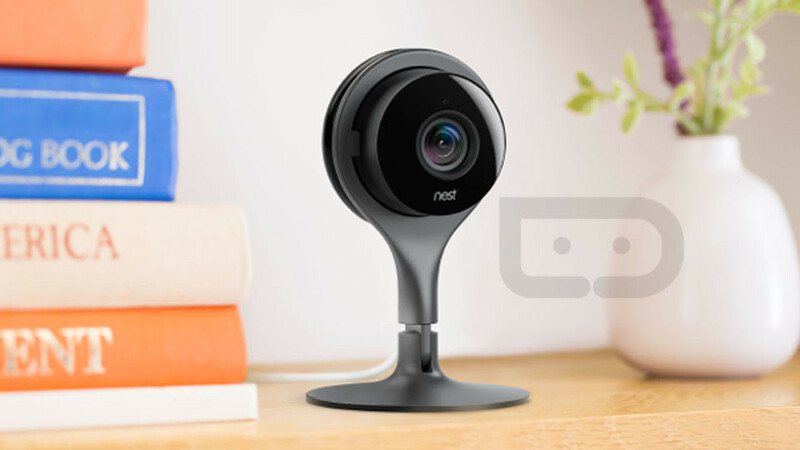 The production of Dropcam cameras has stopped and have since been replaced by the Nest Cam, which has all the best features of Dropcam such as a pivoting stand and high-resolution video, plus a much better app. Nest Cam is easily best high-res live streaming camera available right now. Nest Learning Thermostat: Nest Learning Thermostat is a smart thermostat that learns and understands your heating and cooling preferences over time. With Nest Learning Thermostat, you don’t have to spend any time on programming the thermostat; this is done automatically by the device. This saves a lot of time, and even money. You can control the room temperature in the house from wherever you are in the world using the Nest app on your smartphone. Nest Learning Thermostat is not cheap though, it costs $250. Philips Hue – Philips Hue is a very smart light bulb from Philips that company that has been making lighting products for well over a century. But unlike the traditional Philips lights, Philips Hue is a smart device and can be controlled using an app on your smartphone. It is expensive too, costs just under $200. It allows you to change the color and intensity of the illumination at home from wherever you are in the world from your smartphone. Philips Hue has special features such as waking you up early in the morning with a warm sunrise hue and a sensor or sleep tracker to turn on automatically as soon as you reach home from office. There are cheaper alternatives to Philips Hue such as LG’s Smart Lamp, which costs only $32. But the problem with this device is that it only works with an LG-owned smart home controller system, while Philips Hue can work with almost any major smart home controller system.